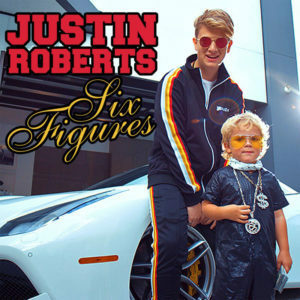 Justin Roberts has just cut a video for his “Six Figures” single. Coming forth with a vocal swagger like no other, Roberts is able to link together punchline rappers with a Lil Yachty meets Migos approach. A minimalistic beat ratchets up the bass and drums, giving Justin’s flow proper punch through the whole of Six Figures. Roberts is able to ratchet up his draped up and dripped out sound to 1, his fiery flow burying its way deep into the minds and hearts of listeners. We’ll be putting this into high rotation at NeuFutur HQ.